is an ongoing study in searching, collecting, and assembling. 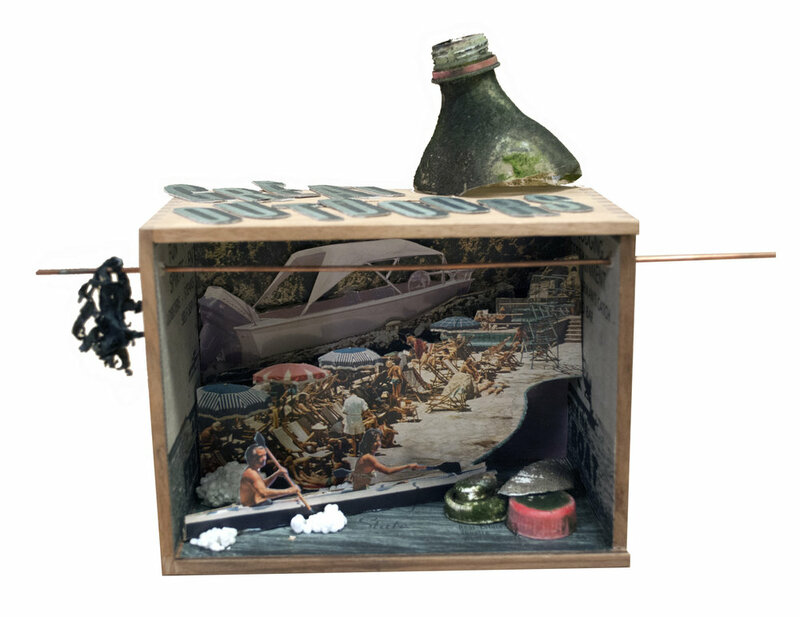 Discarded objects and imagery are given new life and new stories through collage and assemblage. Collage of found objects. Various sizes.